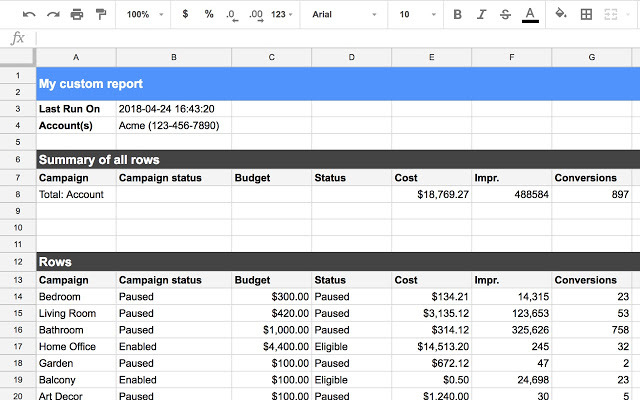 Last night, Google AdWords announced that there is now an app to load data into Google Sheets. An app was already available for Google Analytics. With the Google Analytics app, it was already possible to request certain data such as costs and revenue from AdWords if you connected Google Analytics with AdWords. 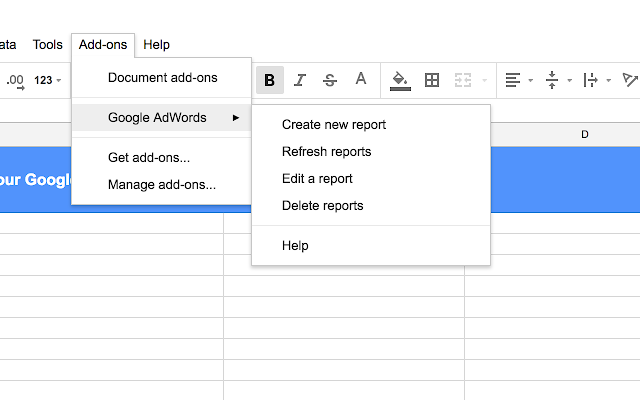 As of now, you can load your reports into Google Sheets without using AdWords Scripts. 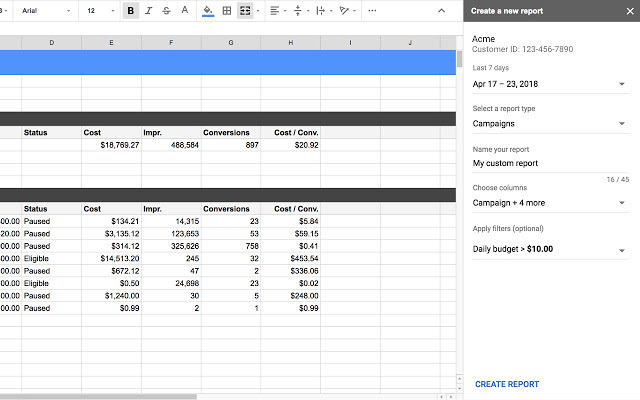 You can install the AdWords connector for Google Sheets as an Add-on for free. It works pretty similar to the Google Analytics connector. Automatically a new tab is added with settings of your reports. Automatic data refresh is not yet possible, something that is possible with the Google Analytics connector but new features and data will undoubtedly be added soon.